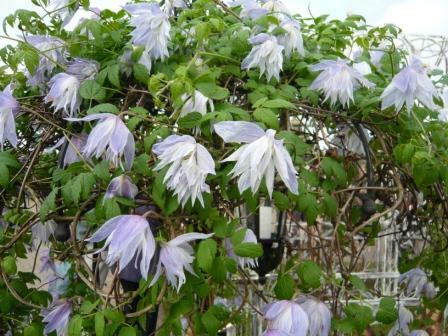 Do not sweat the problem of pruning clematis – do what seems right following these guidelines if you must. Prune all Clematis in Spring, early Spring for late flowering Clematis that flower on new wood and late Spring after flowering for Clematis that flower on old wood. The later in the year it flowers the harder you should prune it. 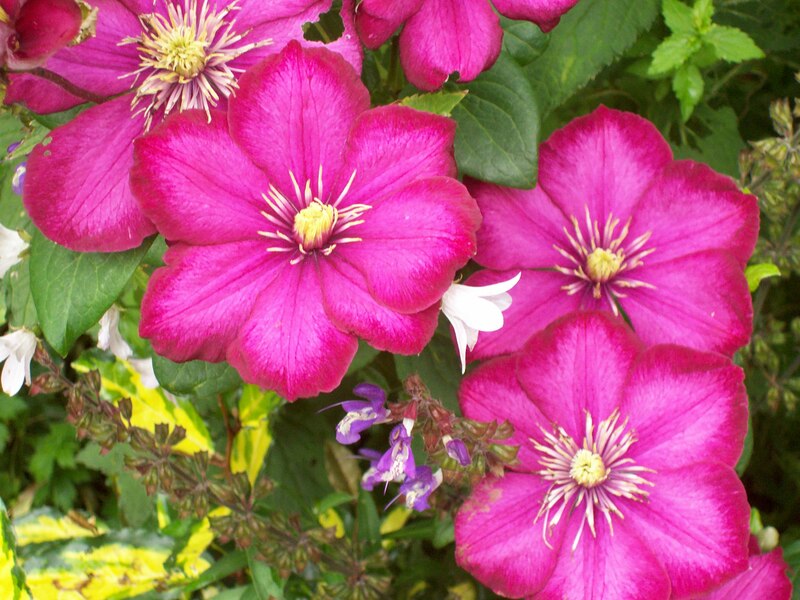 Treat your Clematis as a flowering shrub. 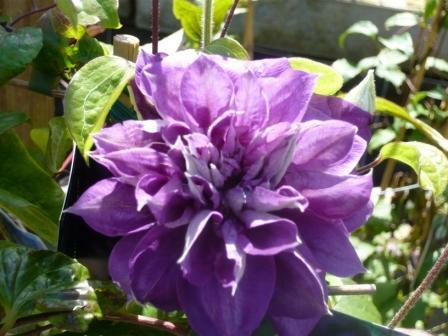 A very vigorous Clematis with a short flowering season but may be scented in sunny positions. Cuttings can be taken in late summer from semi ripe wood or propagate by layering. A stunning 4in wide flower of velvety crimson colour with a satin sheen to the petals surface. Roots should be kept cool, shaded and uniformly moist. Blooms occur on the current year’s growth. Prune back hard to approximately 6-9 inches from the ground to strong leaf buds in late winter to early spring before growth begins. 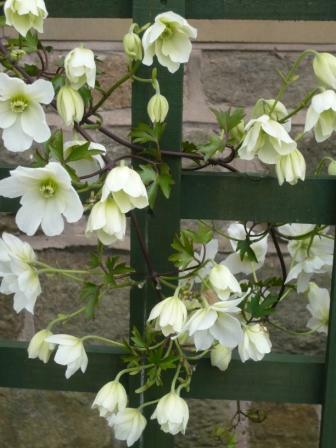 As with all the late-flowering clematis this pruning is easy and makes these clematis useful for training up shrubs, trees and climbing roses. Needs an adequate supply of nutrients during the growing season to support rapid growth. Very free flowering habit although the plant’s structure is rather weak and needs supporting. 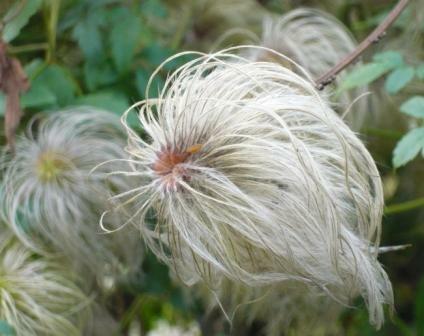 These Clematis flower even later in the summer so they should be pruned early in spring. Prune to a couple of buds 30 inches above soil level. After pruning use a good Foliar feed every 7-10 days and a good root drenching weekly.